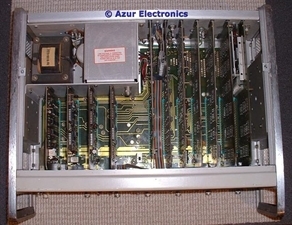 The 1645A cost $2,800 in 1980, rising to $4,465 in 1987. I bought this 'untested' unit to scrap and make use of the various parts: power supply; power switch; BNC connectors; feet; etc, all of which would individually cost more than the complete unit. On checking the equipment over, it is in remarkably good condition for its age, circa 1980, and complete. 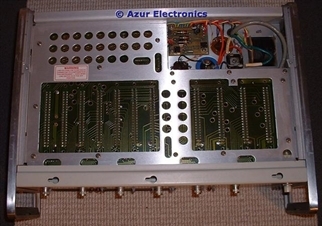 Removing the 2 interface cards at the rear and 11 plug-in cards from the motherboard revealed no obvious faults. After a good clean-up all was replaced. It seems a pity to scrap this unit, so I have bought a Manual and will test it when I have time. I'm not sure that I have any need for RS-232 data comms test equipment, although it would have been very useful a few years ago when I was involved in data comms. So this 1645A is FOR SALE.